Hello, and welcome to the Wordless Wednesday Blog Hop! My friend Deb from Focused on the Magic is the host for this weekly series, and this week, the theme is our January Calendar Shot! Thanks Deb for always hosting this for us to join in! Here in North Carolina, January is often a cold, rainy month — with the occasional snow or ice event. As a result, I wanted to try and capture something at Disney that would reflect the January landscape, but I wasn’t very successful. What I ended up with was the picture above, which was taken in January, 2001, when Cindy and I “ate our way through Disney!” It was at this trip that Cindy was pregnant with our daughter Sophie, so we weren’t able to enjoy the high-octane rides like the roller coasters and things like that. We had a long weekend, so we took it easy, rode the tamer rides, and ate at a wide variety of restaurants, including Cinderella’s Royal Table — where we were able to get a day of reservation that morning for lunch — and also Liberty Tree Tavern, where Cindy found out about my crush with Minnie Mouse! Wow, do we look young or what! Thanks for stopping by today on our Wordless Wednesday Post — now click on the button and check out the rest of the entries. Thanks! Wordless Wednesday – November Calendar Shot! 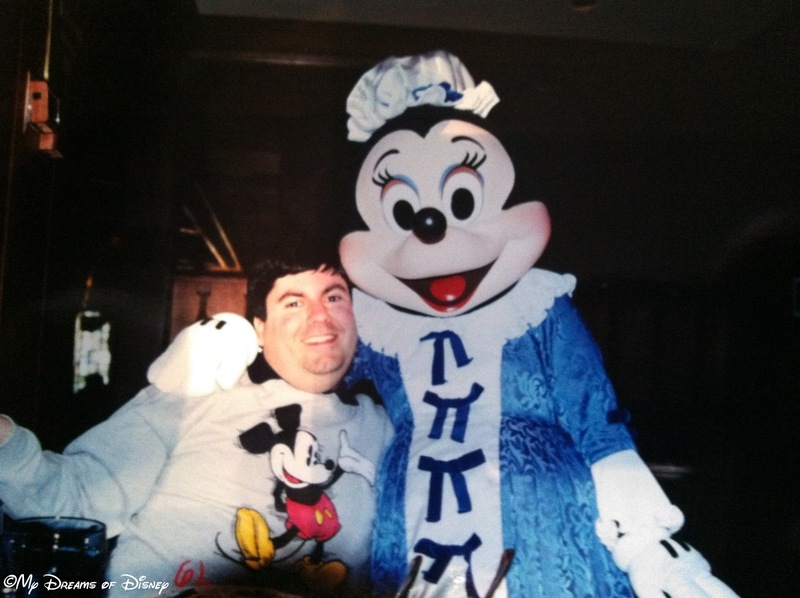 You know, I wasn’t really going to do a year in review post for My Dreams of Disney. I thought to myself, why would anyone want to read about things that they’ve already read about? But slowly I came to the realization that so many things have happened in the past year that I really needed to capture all of them in a post, and that part of why I started My Dreams of Disney was to capture the memories from trips so that I could look at them over and over again, so here it is, My Dreams of Disney’s Year In Review! The My Dreams of Disney Year In Review! 2012 saw many things happen here at My Dreams of Disney. This simple list of our top ten things links over to more detail about the event we highlight, so feel free to click on over to relive the moments! 10. 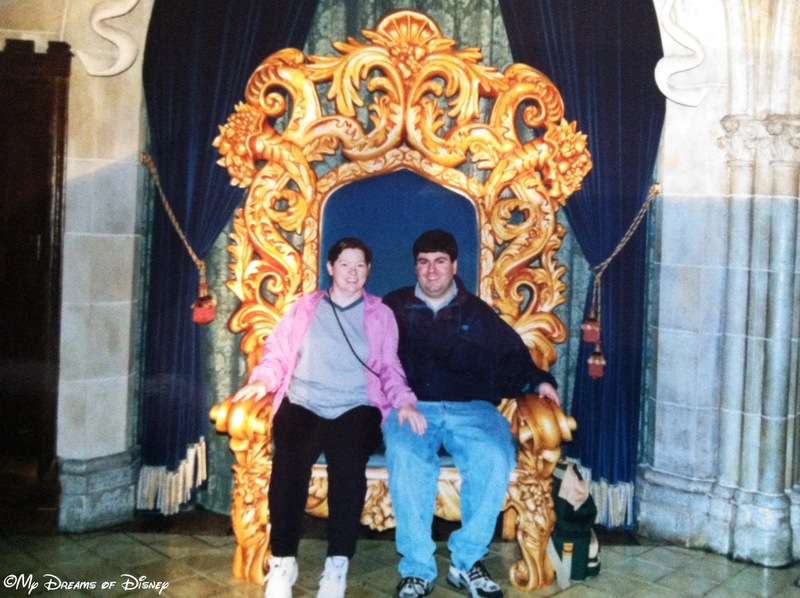 In January, the Magical Blogorail Red team wrote about what Disney Magic means to each of us. For me, Disney Magic means new memories! What does it mean to you? 9. Also in January, I remembered that My Dreams of Disney can be a very powerful vehicle for prayer and support. One January evening, my heart was heavy with some distressing things that were happening, and I wrote from the heart that evening. Thank you to everyone that commented, it was very moving! 8. In February, my niece Stephanie wrote a special piece for me giving us her list of her top 10 favorite restaurants at Walt Disney World! 7. Also in February, I started a series called Disney In Pictures. The first one had the theme of Disney Magic! 6. March 5th, 2012 saw the passing of Disney Legend Robert Sherman, one of the two famous Sherman Brothers. On March 6th I wrote a piece about him, and included a YouTube video from my favorite song of the Brothers. Enjoy! 5. 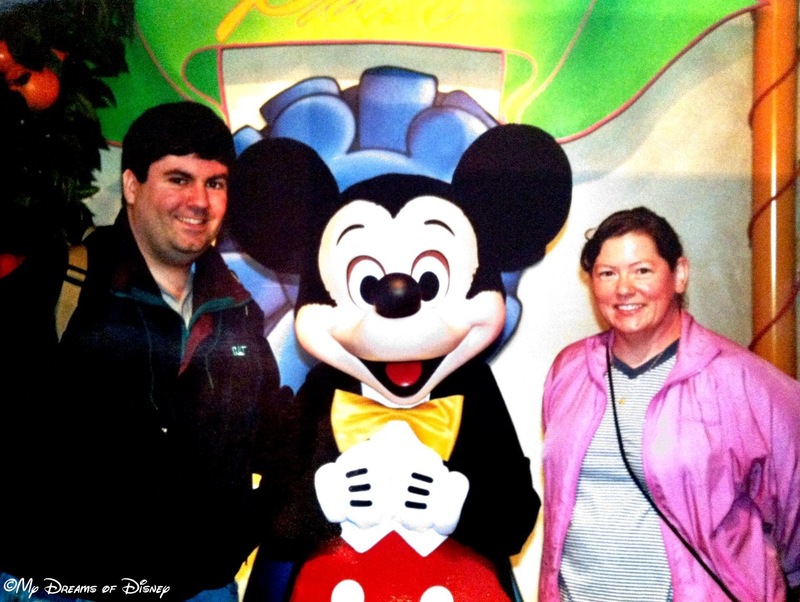 Starting on May 9th, 2012, I began a countdown series called “30 Things to do at Disney World.” We were getting really geared up for our trip! The first one was about my daughter’s favorite ride — Splash Mountain! 4. In July I teamed up with my friends Jonathan from Mouse and Memos and Terri from WDW Hints on a week long look at The Haunted Mansion. I started us off by choosing The Haunted Mansion as the theme for that week’s Disney in Pictures. 3. September 8th marked two anniversaries for My Dreams of Disney! For starters, it was the second anniversary of the day I started the blog, and it was also the day that my conversion to my new WordPress server was completed! 2. In October I started a new series — one that I got my inspiration for from my friend Heidi from Heidi’s Head — called Friendship Friday. On November 2nd, my Friendship Friday recipient for that day was my wonderful wife, Cindy. 1. On June 20th, I received permission to write what was easily the best post I’ve ever written on My Dreams of Disney. You see, June 11th, 2012 is a day that will not be forgotten — it was the day my niece Stephanie became engaged to my new nephew-in-law Shane when her Dream Came True. That was easily my number one moment of 2012, outside of the wedding in November! I could easily write for hours outlining several more posts that I am proud of, but I’ll stop here. Thank you all for stopping by and visiting throughout the year, and I look forward to helping you get your Disney fix, plan your Disney trip, or anything in between in 2013 also! Thanks for taking time to tag along with us!